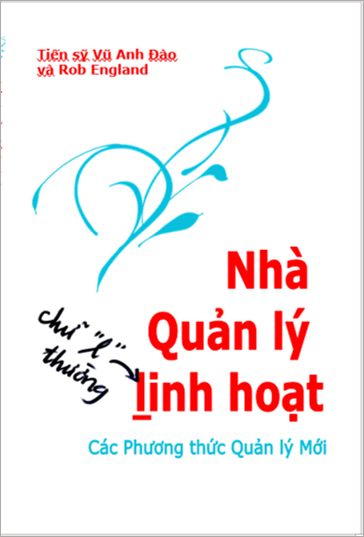 New Ways Of Managing is a book! Agile thinking is transforming IT, enterprises, government, and society. Its impact is far reaching enough to talk of it as a renaissance in thinking, a refresh or step change that comes only once or twice a century. This is not an exaggeration. Agile thinking empowers people to be knowledge workers, to design the work and make the decisions. It treats them like they are over 18 and on the same side. Conventional management too often treats people like clerical workers, like plug-compatible wetware, like Human Resources, who can't be trusted, who are evaluated numerically, who are an overhead to be minimised, who need to be told what to do and how to do it. Which one is more condusive to satisfaction and mental health? The Agile movement is leading to New Ways Of Working: iterative, incremental, experimenting, exploring complex systems (our discussion of new ways of working here, with reading list). These are displacing the ideas of big-bang projects; zero risk; certainty and accuracy; plan once execute perfectly; failure is not an option. 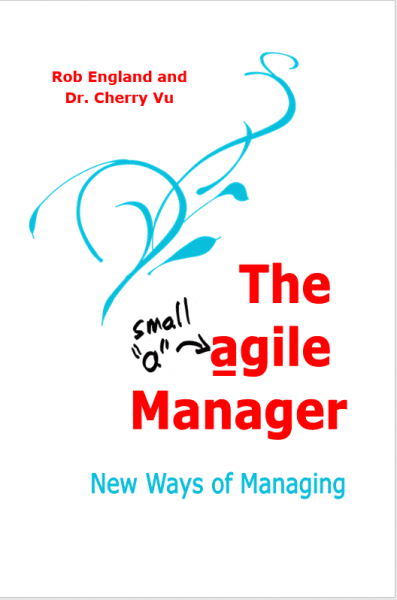 At least as important, though, is New Ways Of Managing, agile Management. Too often, management views the transformation to new ways as something done to improve the practitioner workforce, not management. This can't be. For an organisation to change, the management must change. This is one of the biggest issues facing organisations moving to agile ways of working. Managers must understand and focus on empowerment, collaboration, agility, and flow. We make the new ways of managing a special focus for Teal Unicorn when we transform organisations and IT functions. We provide coaching and training to get there. We haven't got one. Again, if some consulting firm claims that they have a solution that fits everyone you should show them the door. Exactly what approach will change the behaviour of a group of hundreds or thousands of people can only be discovered by experiment. Every organisation uses different methods to follow a different journey. The only things that are common across organisations pursuing new ways of working and managing are the principles and general theoretical models which we apply along the way. The key to success in getting a legacy organisation to new ways of working, to agility, is understanding how to create the transformation and, in particular, understanding that the focus of the transformation has to be the management layer, rather than the work. This is the nub of our agile Management approach: the realisation that the most important aspect of new ways of working is not the target state or some template solution or even distilling out a set of principles; it’s the management. The high-level executives are more likely to be risk takers and big thinkers and will embrace new ways of working more quickly than the middle management will. Likewise, the practitioners at the worker level are generally keen to do something better once you work them through their initial resistance to being changed. But that middle layer, that permafrost, is usually the slowest to move in any organisation. So while other bodies of knowledge emphasise executive support and new ways of working for the teams, we think that those two aspects actually sandwich the most important and most neglected area: moving the management. The second insight that we have learnt is that you can't change individual people, whether they be executive, management, or team practitioners. People exist within a system so we must change the system rather than the people or some amorphous concept of "culture". And the third insight that experience and theory has taught us is that you can't change a human system directly, they're too complex. You must change the externalities to influence the system to change. Change the governance, policy, KPIs, products, services, and people development. In other words, change how we manage the system. The culture and work will then change. Trying to change culture and work directly is futile. It works locally at a team level up to a point, if you can create enough white-space for change to survive. But beyond that point, change must be systemic. And fairly soon it must be systemic at an enterprise level.